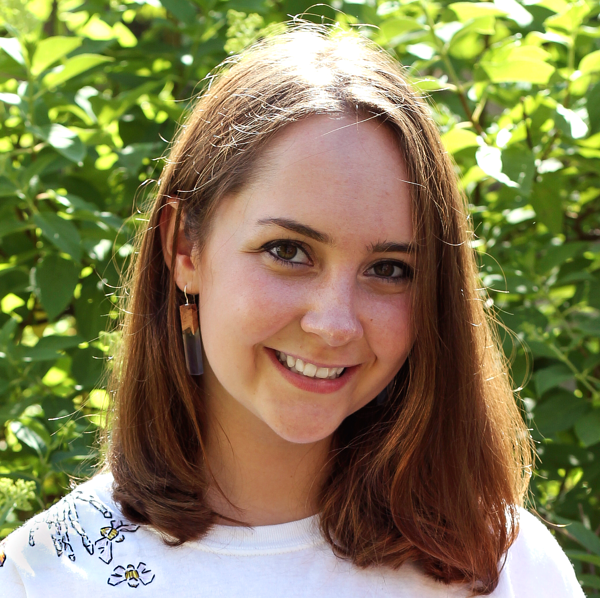 We hope you enjoy the fourth installment in the Alumni Profile Series, which features profiles of the Handwork Studio graduates (and some current members) and gives you an inside look into their lives! For a shorter biography of Lizzy Gee, check out the alumni page of our website! 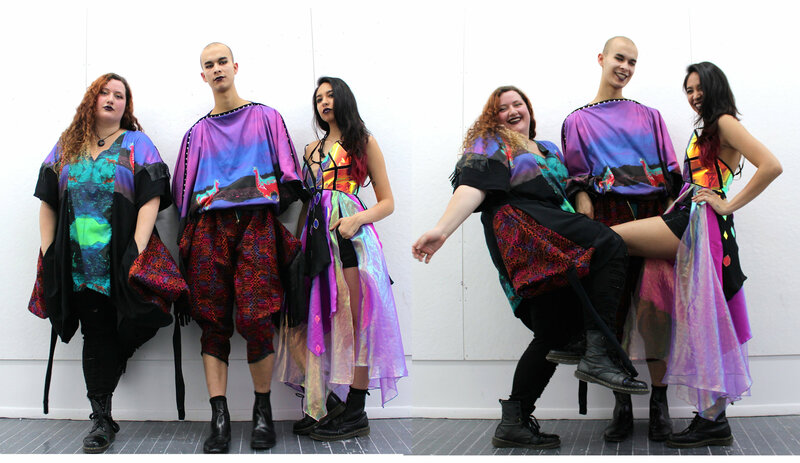 From perusing Lizzy Gee’s website before our interview, it is easy to tell that she is a colorful person, an imbues that sense of boldness and brightness in her designs. Seeing Lizzy’s outfit and a small section of her apartment on our video call only confirms that she loves color, and I can’t want to hear what she has to say. Lizzy graduated from the Pratt Institute in New York just a few months before our interview with a Bachelor of Fine Arts in Fashion Design and is currently working as a head teacher at The Handwork Studio as she makes plans for her future. Lizzy started knitting classes at the Handwork Studio when she was eight, and after a year of that she started machine sewing. Lizzy also did Fashion Bootcamp at the Handwork Studio for four or so years, and credits her experiences there with helping her develop her entire fashion skill set before she went to college. 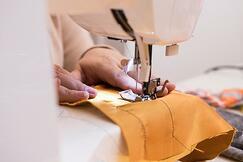 “Without them, I wouldn’t have known any of it, because no one in my family can even hand sew. So I’m officially the seamstress of the house, thanks to them.” Lizzy was interested in handwork before she began attending the Handwork Studio classes, however, because she was always intrigued by the idea that she could draw something and have an idea and then actually bring that idea to life. She dabbled in making board games when she was younger, but nothing clicked with her more than knitting and making clothes. 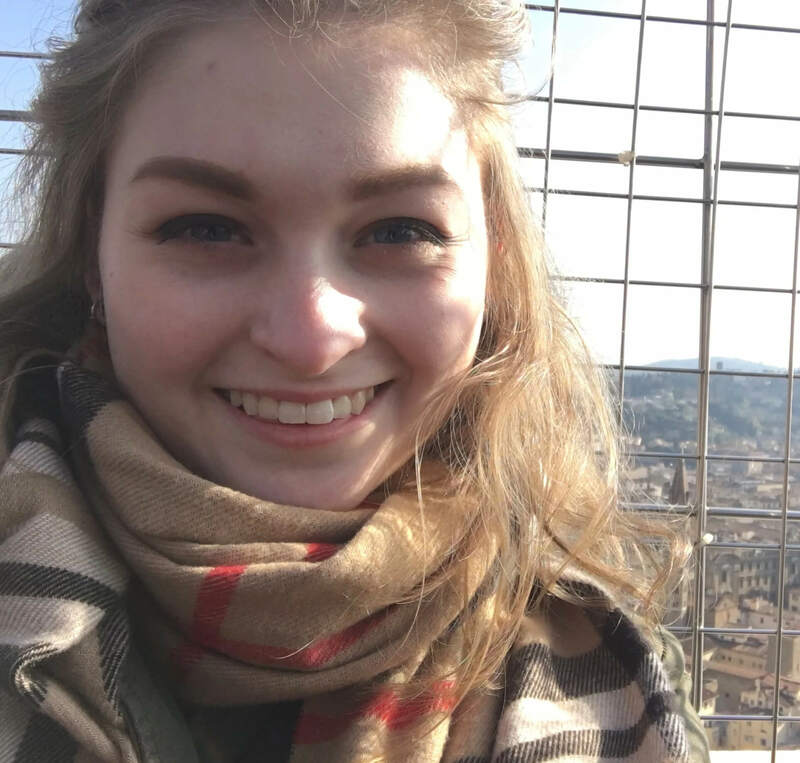 Because Lizzy has known that she wanted to go into fashion for so long, she was able to start having incredible job and internship experience at a relatively young age. 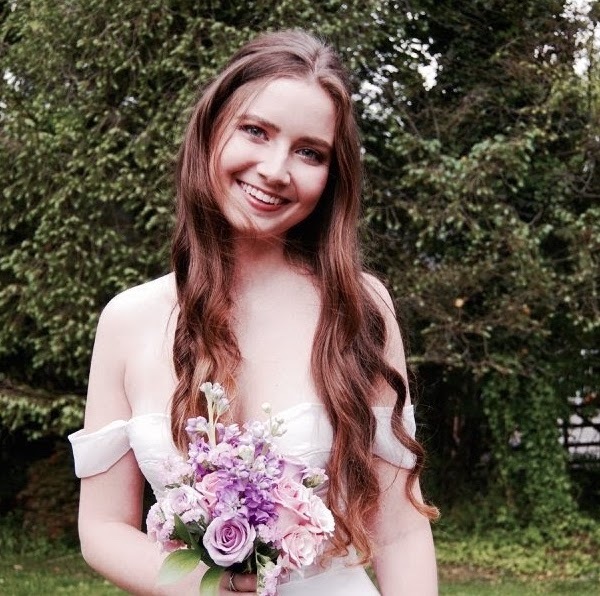 When she was still in high school, Lizzy took classes at the Moore College of Art and Design and interned at the costume department at Villanova University (where they thought she was a college student until the very end of the internship, when they found out she was only 16!). I, like Lizzy, attend university in New York, so I ask her what it was like to move from outside of Pennsylvania to the city. “I love it. It’s definitely a different pace than any other city. But I love it. I think it helps that I went to a school that still has a campus feeling, so you feel that calm amongst the crazy. If I had gone to Parsons or FIT [Fashion Institute of Technology] I would have felt very overwhelmed and I wouldn’t have stayed after graduating. But I plan to stay for at least a year.” I agree. I love the city, but without a quiet, collegiate campus, my university experience would be very different than it is now. As I guessed from looking at her website and seeing her for the first time, Lizzy loves color. 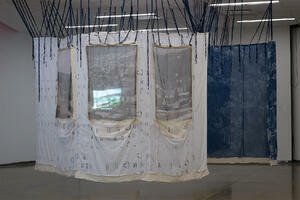 She elaborates on her art and vision, and why she creates the way that she does. 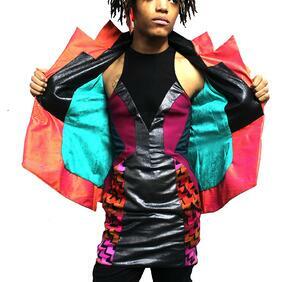 “I always have had a lot of color and boldness with my designs. I try to balance femininity and edge, so I design for a girl who wants to wear pink and wear bright colors, but also, you know, don’t mess with her. That’s the vibe I’m trying to bring out. Also when I went to Pratt, I started to learn about menswear, and I love the idea of helping straight men not have a fear of dressing flamboyant and wearing what they want. 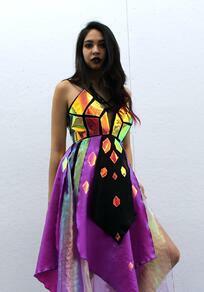 I have a lot of friends who are guys, and they love my designs, but they’re too afraid. If they want to wear a really bold print, they’re worried people will assume certain things about them rather than think they just really enjoy color." 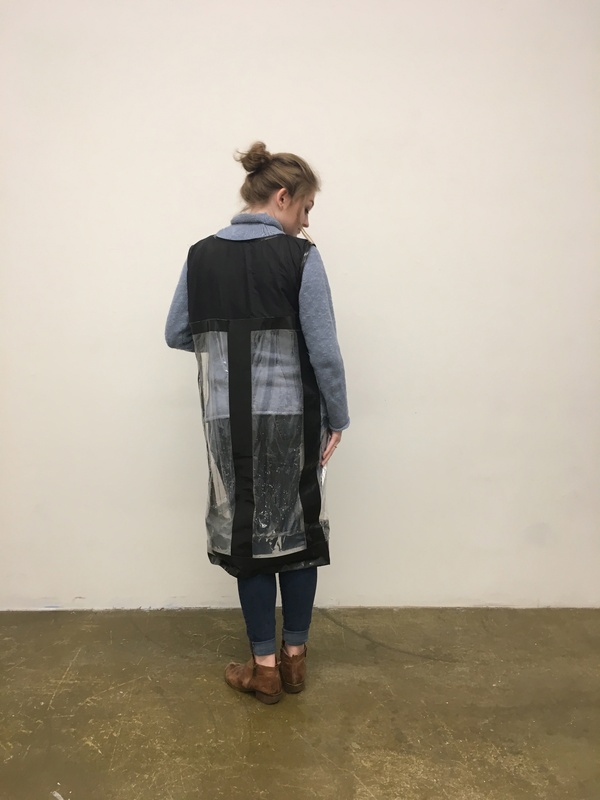 Lizzy’s artistic vision changed significantly while she attended Pratt, and she expects more change to come. 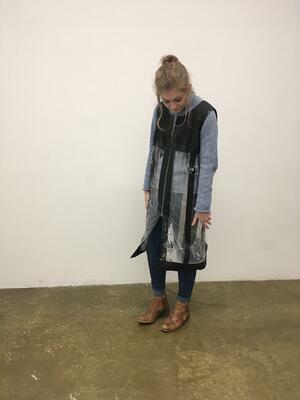 She made five mini-collections before she even started college, so she thought she knew what she wanted, but learning about menswear, prints, and accessories at Pratt helped expand Lizzy’s horizons. She’s now more open to starting her brand with accessories and building into clothes or experimenting with a more versatile range of techniques and demographics. One instance immediately comes to mind when I ask Lizzy if there’s anything she’s done over the last few years that she’s especially proud of. Lizzy describes the lobster dress as “kind of cartoonish but elegant,” with sequins, long antennae, and a tail like a train. “And I ended up winning,” she tells me, with a smile. It was the first time Lizzy had a window front with her name on it, and she was thrilled when she was it in person for the first time. After the competition, Lizzy ended up getting a contract with the store and sold a few more dresses to them. Welcome to the second installment in the Alumni Profile Series, which features profiles of the Handwork Studio graduates (and some current members) and gives you an inside look into their lives. Happy reading! 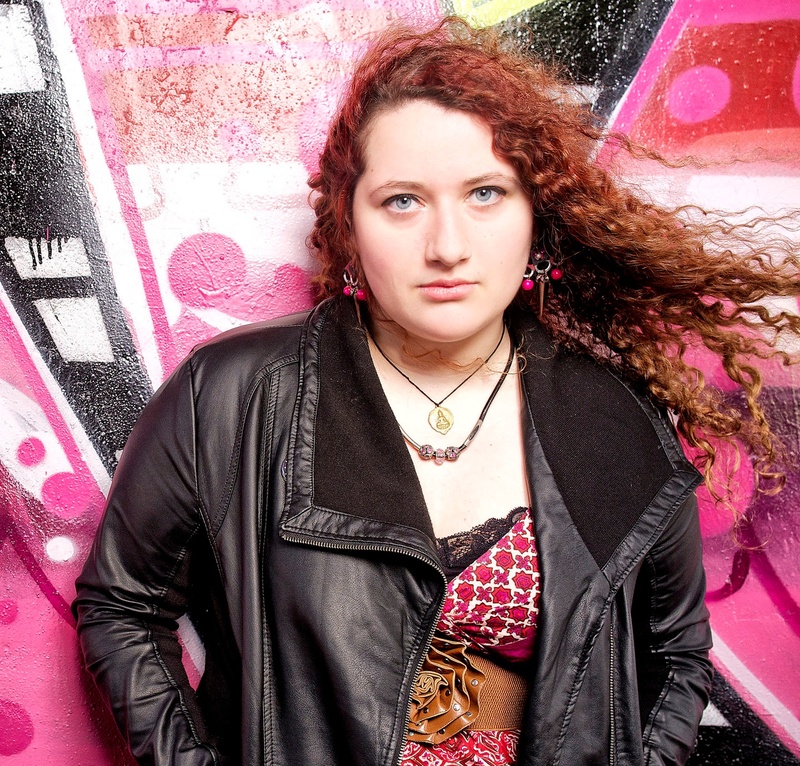 For a shorter biography of Sharon Baranov, check out the alumni page of our website! 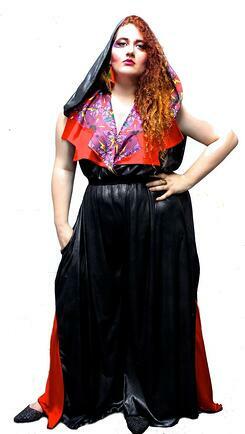 Sharon tells me that in addition to engineering she paints, sews, and does fashion design. Her favorite type of art is probably making clothes, but the week before our interview she took a still life painting class (where she tried oil paints for the first time) and loved it. It’s telling of Sharon’s dedication and love for handwork that she stayed committed even when those around her found other things to do. 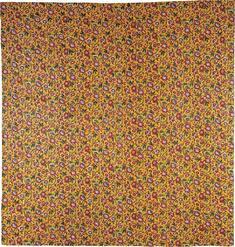 Even after Sharon aged out of the Handwork Studio, she remained involved, working at the Narberth studio through summers and school years. “It was really hard,” she admits, “because I decided to make the pattern for it myself, so that was really difficult, but once I got the pattern it kind of went a lot smoother and I was able to finish it.” She thinks for a moment before telling me about her 3-week internship for a tailor that she completed as her senior project, alongside making her prom dress. She worked at a store called SewRob near where she lives and got to see more of the business side of sewing. Did she focus on administrative tasks? 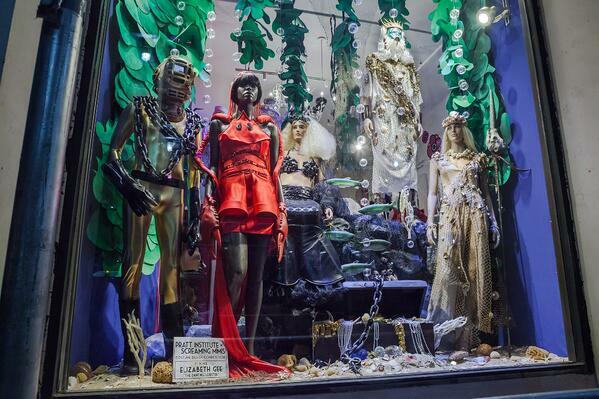 Fashion related work? Despite pursuing a career in something outside handwork, Sharon makes it clear that sewing will always be her hobby. She chose not to embark on a fashion career because she likes being able to make clothes for herself, and she likes the freedom of making patterns for things she wants. “That’s how I got into engineering,” she says. “I was thinking that I really like making things and fitting them together and seeing how they work.” She starts to tell the story of how she moved from fashion to engineering. When I ask Sharon what she’s done over the last few years that she’s the proudest of, I’m thrilled to hear her say her prom dress. She goes into detail about the process and design. What is something Sharon wishes she could change about the last few years? She pauses for a second, then tells me that she wishes that she’d kept sewing more after she decided not to pursue fashion as a career. Before she attended the Parsons program, Sharon had sewing teacher that had her make something new every week, and even though it was challenging, she wishes she had kept up with that schedule. Sharon essentially took a six-month break from sewing and only really got back into it to make a dress for her winter formal, her junior year. “It was a little bit of a sore topic, but I wish I had kept going because there are so many things I could have made during that time…then I did my junior formal dress, and it was like, okay, I really miss this.” She’s coming into the realization that she needs to find a way to keep sewing in her life (which is why she took this summer off from work - to make art). It’s always a balance to keep space and time for your art alongside everything else school throws at you. 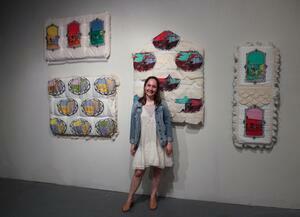 Does she have anything else to share about the Handwork Studio? Good morning and welcome to the last of the summer activities blog posts! 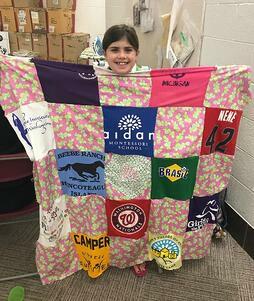 My final topic is somewhat fitting for these final days of summer vacation as we move into the chilly fall season: quilting! I remember helping to make class quilts when I was in elementary school, so I hope that this post inspires you and your kids to start your own family quilt today. A quilt, as defined by Merriam Webster, is a “bed coverlet of two layers of cloth filled with padding (such as down or batting) held in place by ties or stitched designs.” Therefore, quilting is the process of making a quilt! Quilts have three main components: the top, a piece of fabric that is often decorated, the bottom, and the filler, which is the padded section sewn between the top and the bottom to form a kind of sandwich. Quilting has a history that predates the United States, but since the tradition of quilting is so intrinsic to the history of this country, I thought we could start there. 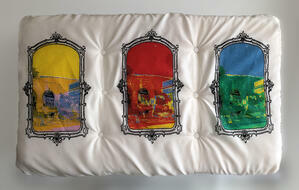 ugh doors and windows, and evolving into an expressive art form. 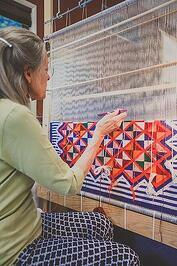 In the 1700s and 1800s, thousands of quilts were made by women in the US, and many were passed down for centuries. er kind that drew inspiration from Indian art and was decorated with a central image surrounded by other designs. The patchwork or pieced quilt was made from scraps of fabric sewn together, which saved crafters from having to buy large swaths of fabric. The applique quilt, on the other hand, was considered very elegant and was made by using extra pieces of fabric and incredibly detailed needlework to decorate the quilt. 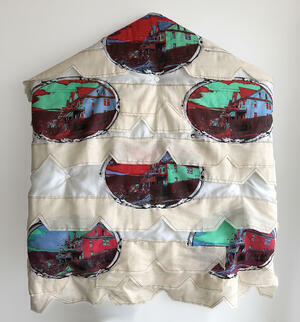 Only the wealthy typically had the time and expenses to make this type of quilt. Quilting was so crucial to American communities that it was a tradition for mothers to make their children quilts before they left the house, and for women to sew twelve quilts, including their bridal bed quilt before they were engaged. Although quilting practices and foundations were brought to the US via European settlers, the country also has a history of African-American quilting traditions that trace back to slavery. 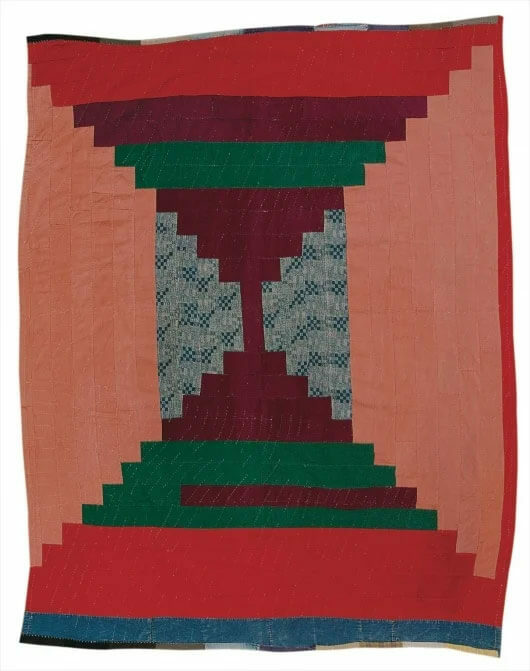 Although most textiles in Africa were woven and not quilted, the bold, geometric, colorful aesthetics of fabrics like kente cloth served as inspiration for enslaved women, who were often taught to quilt in order to make help and serve their mistresses. In the ‘50s and ‘60s, the practice of quilting died off some but came back in the ‘70s and ‘80s as people expressed a desire to return to handwork skills in the face of increased mechanization. Quilting became an important part of the feminist movements in the ‘70s because it served as means of artistic expression, and after the bicentennial celebration of the United States in 1976, it became a representation of national pride and love for the country. Unlike sewing, the actual process of quilting hasn’t changed too much over the years, so it is a really cool way to feel connected to women who lived hundreds of years ago, and it is also an amazing way to create a family heirloom that can be passed down to your kids, their kids, and their kids! When starting out quilting, the most important tip is to keep it simple. Choose simple patterns with lots of straight lines, rectangles, and squares, use larger pieces of fabric so there will be less sewing involved, and maybe even buy patterns with precut fabrics so that you don’t have to spend time measuring and cutting your own. You will probably need sewing pins, safety pins, sewing scissors, thread, a seam ripper, a measurement tool, a fabric pencil or a marker, and a rotary cutter, as well as your fabric and patterns! The four stages of quilting include preparation, making the quilt top, quilting, and finally binding it all together, and if you can sew a straight line and are willing to follow instructions, you can definitely make your own quilt! Now that you’ve learned all about the uniquely American history of quilting, you can grab your kids and get started on your own! 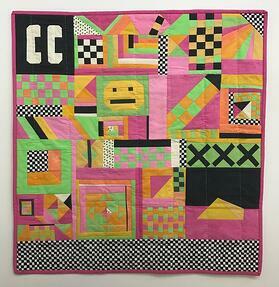 For detailed quilting instructions, check out this awesome blog or this great article. If you want your child to have handwork experience but you’re not sure about helping them yourself, you can always send them to the Handwork Studio’s amazing classes. Finally, I hope everyone has an incredible school year! It’s been awesome learning about different kinds of handwork with you this summer, and I hope this blog series inspired you to get out there and try these crafts yourself! As always, post a picture of your incredible creations on Instagram with the hashtag #SewMoreLove so we can see your art! Happy quilting! If you’re like me, the term “felting” might not ring a bell when you first hear it, and you may be confused about its significance. 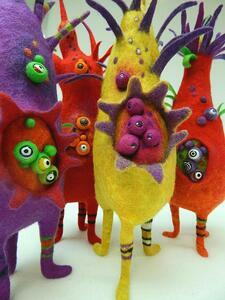 But chances are you have seen a felted creation before and not even realized it! he crafter uses a special barbed tool to repeatedly stab into the wool, pulling the fiber into itself and ultimately creating a round, firm shape. Once this firm, felted piece of wool is created, you can add more felted shapes or pieces of wool to form a sculpture! Felting has been around since the Neolithic period, and samples of felting date back to the Bronze and Iron Ages. Felted creations were used to keep people warm and dry during a time when knitting wasn’t yet invented! Nomadic people in Central and East Asia still practice felt making, using the craft to create rugs, tents, and clothing both for themselves and for tourists, and Roman soldiers made breastplates, tunics, boots, and socks out of felt because it is a relatively speedy process that requires fewer tools than some other handwork techniques. Legend has it that Saint Clement of Metz and Saint Christopher filled their sandals with wool while fleeing persecution to protect them from blisters and that at the end of their long journey all the walking and sweat had turned the wool in their shoes to felted socks! These days felting has come back into fashion in Great Britain, Scandinavia, and the United States, and more modern designs and techniques are always being invented to adapt to current felting trends. Felt is used in anything from cars to musical instruments to picture frames, and to create hats, jackets, decorations, pillows, and bags, but its most exciting usage is probably to create figurines and sculptures! Animals are very popular to make with dry felting because their fuzzy hair and fur is easily copied using wool. 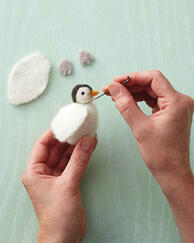 Before you start trying to create needle felted sculptures, however, you’ll need some tools. The first thing you should acquire is wool! It may be beneficial to do some research on the best type of wool for felting because there is no general consensus in the felting community on which type of wool is better, but I am confident that you will find the perfect material for your project! Next, you need a felting needle, which has sharp barbs on it that all point in the same direction in order to pull the wool into a firm, sculpted shape. Finally, you should have a foam block or a sponge on which to felt so that you don’t hurt yourself or damage your needle or the table while stabbing your wool. Once you’ve gotten your needle felting tools, it’s all about practice! You can start by following this Handwork Studio YouTube tutorial to learn how to make a felted turkey or this YouTube tutorial to learn how to felt an owl, just in time for fall! You can also try these really cool felted spider earrings to get you in the mood for Halloween. 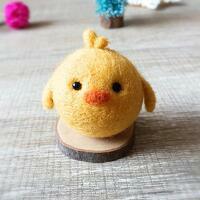 If you want to create something more summery, you can also make a chick, a rabbit, or a koala, all out of spheres, or check out this list or this site to find more amazing step-by-step needle felting lessons. 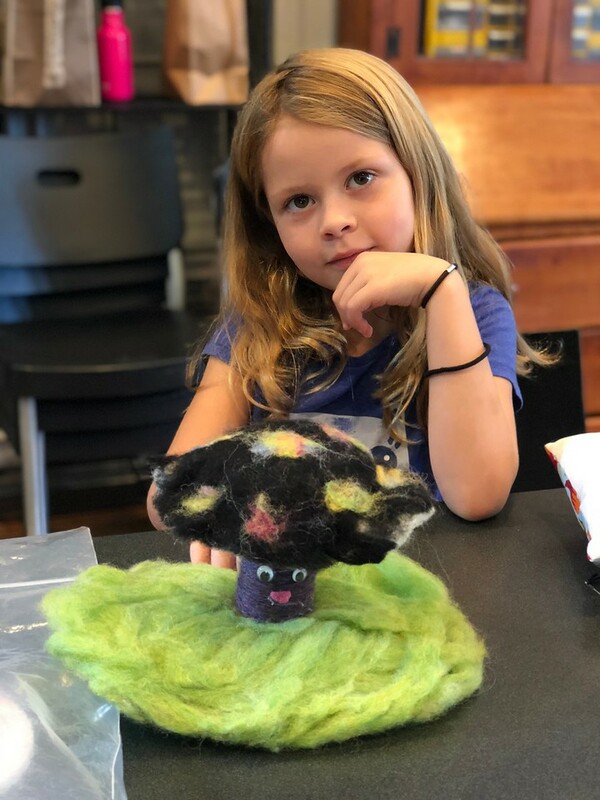 Needle felting is an incredible activity to try with your kids this summer, and not only is it fun to pass the time, but they end up with adorable figurines and sculptures at the end! 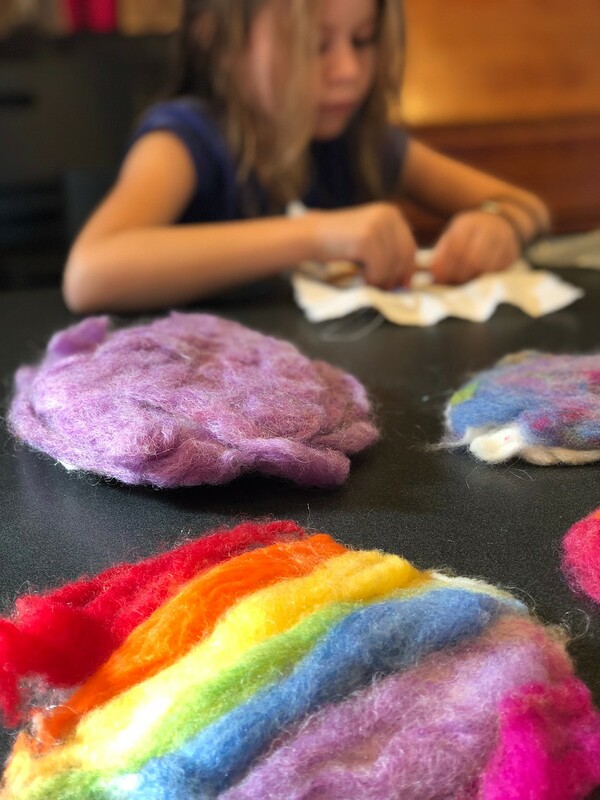 If you’re not so sure about teaching your kids how to needle felt on your own, you can always send them to The Handwork Studio’s camps and classes so they can learn amazing handcraft skills, make friends, and have a wholesome, unique summer experience. 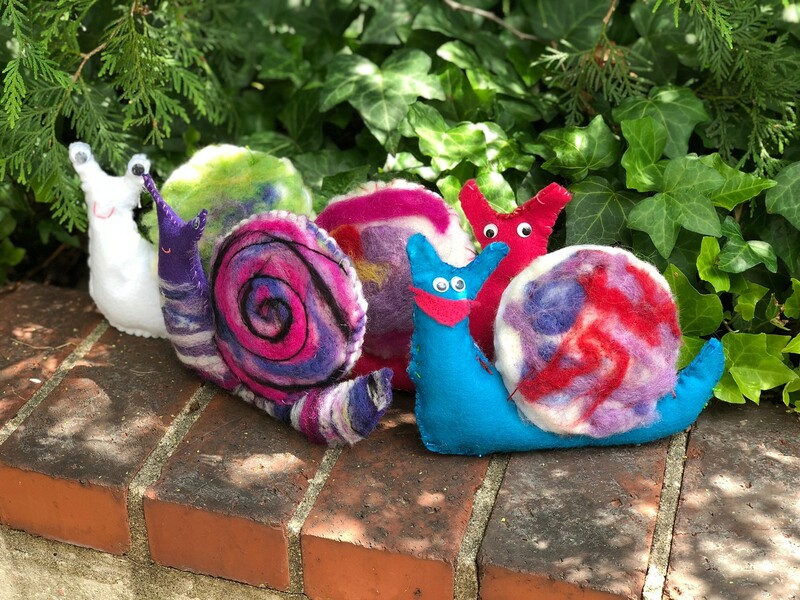 If you do try out needle felting, post a picture of your creation on Instagram with the hashtag #SewMoreLove! We would love to see the fantastic things you create. 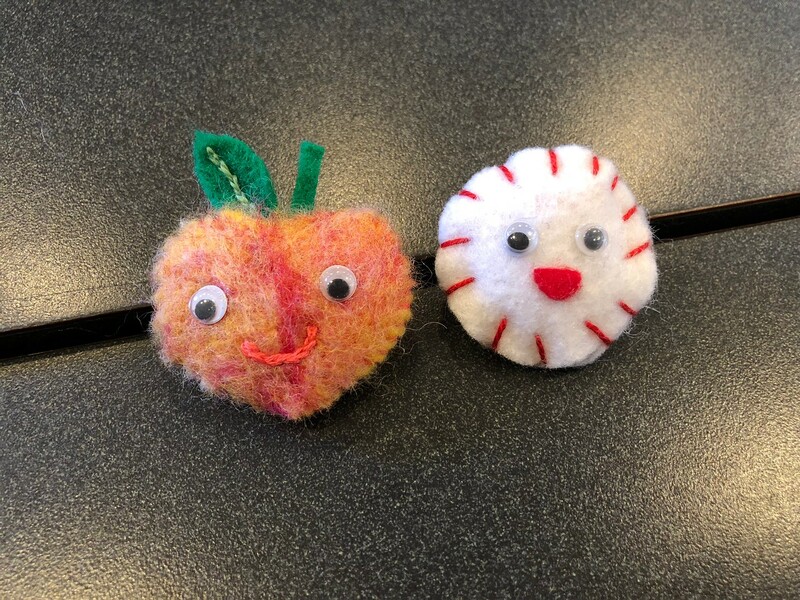 Have a great week, try some needle felting, let us know how it went, and then tune in next week to learn about wet felting! What enjoyable, kid-friendly summer activity has a history filled with theft, sabotage, and fortune? Your first thought might be that there aren’t any, but it might surprise you, as it surprised me, to find out that machine sewing fits all those categories! How is that possible, you might ask? Keep reading to find out more, and learn how to teach your kids to machine sew today. As I mentioned, machine sewing has a long and rather complicated history that originated with hand sewing, something humans have been doing for thousands of years. Early humans used bones and horns for needles and animal sinews for threads. 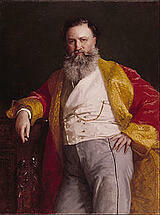 The first real sewing machine was patented in 1755 by a German gentleman named Charles Weisenthal. Weisenthal never actually designed the sewing machine, but he had the idea and acted upon it, so he’s pretty important. The first truly successful sewing machine came in 1830 when a French tailor called Barthélemy Thimonnier invented a machine with a curved needle that used one thread. The French government patented Thimonnier’s invention and commissioned him to produce uniforms for the French army, but about 200 tailors burned his factory down (with him inside!) because they thought his machine would destroy their business. Luckily Thimonnier survived, but his machines were burnt to a crisp. Ultimately a now famous man named Isaac Singer drew inspiration from the many machine designs and plans that came before him to create the Singer sewing machine. The Singer Company became an incredibly famous and well-loved brand, and Singer died with a personal fortune of $13 million to his name. At a time when the average American household income was $500, Singer managed to sell his machines for $125, and they were extremely popular. Although Singer reportedly didn’t care much about sewing, he did care about money, and he built his company into one of the world’s leading sewing machine suppliers for many years. Even though the history of the sewing machine is intriguing, to say the least, you might still be wondering why you would need a sewing machine when hand sewing is seemingly less expensive and potentially less challenging to learn, but machine sewing definitely has its benefits. 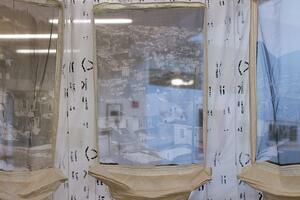 For example, machine sewing can save you money on clothes and other items once you learn how to make them yourself. You and your kids can also customize clothes, blankets, and other items and make them personal to you in a way that store-bought things won’t necessarily be. 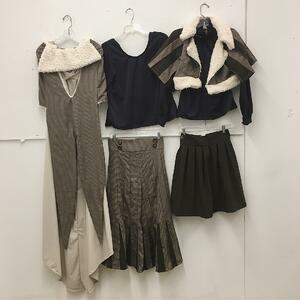 If you are a non-traditional size you can make clothes that fit you, and express your personal style through special items that you make for yourself! Learning how to machine sew can also save you a trip to the tailor if your child accidentally rips their clothes because then you can fix them right up at home. You and your child might even be able to start a business with your new machine sewing skills, like The Handwork Studio’s very own Anna Welsh, and sell clothes and items you make to friends, family, and others. 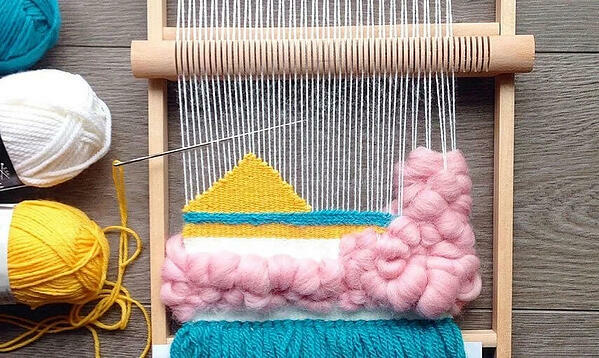 Like knitting and crocheting, machine sewing also helps strengthen your mind and relieve stress, so in addition to being a fun activity for you and your kids, it is a beneficial one as well! If you’re like me and aren’t sure exactly what parts make up a sewing machine, you can check out The Handwork Studio’s YouTube videos on getting to know your machine and its components. Here are a few of the basic parts of the sewing machine to get you started. Sewing machines also allow for crafters to use a variety of stitches! Most machines have settings for straight stitches and zigzag stitches, and higher level machines also have decorative stitches, blind stitches, and stretch stitches. Each stitch has a different use, and once again, it is always beneficial to do some research on which stitches are best for what you and your child are trying to create. I hope this blog post inspired you and your kids to get informed, go out and buy a sewing machine, and learn how to use it today! 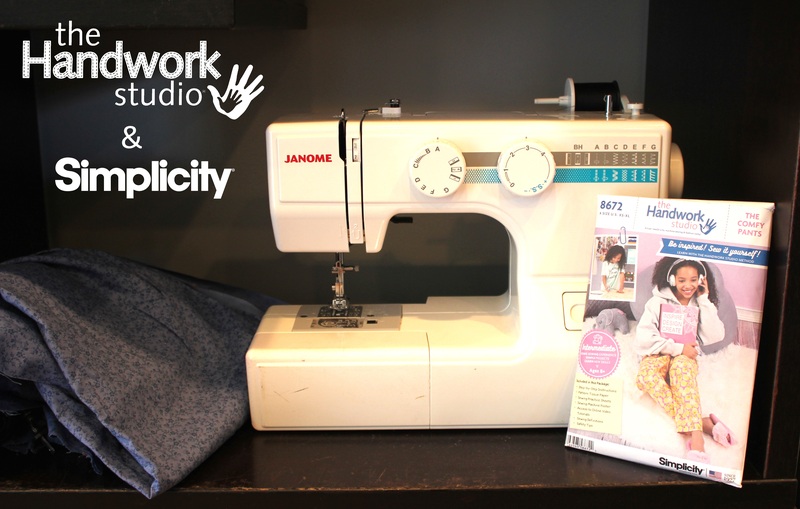 If you still want some extra help or guidance, don’t hesitate to check out The Handwork Studio’s camps and classes, particularly the Fashion & Machine Sewing Camp for children ages 9-15, and our line of Simplicity Sewing Patterns. 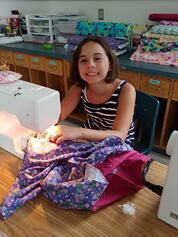 We can’t want to see what you and your kids dream up with your new sewing machine skills. If you want to share anything with us, post it on Instagram with the hashtag #SewMoreLove! Happy sewing! 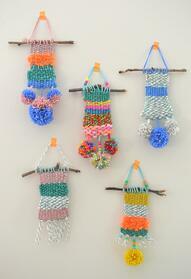 So far in this blog series, we’ve learned about kumihimo, knitting, and crocheting. Each is special in its own way and attracts a variety of people, but just in case you aren’t interested in any of those, we thought we would discuss another handwork craft today that’s just a little different from what we’ve talked about before. Here’s a hint: It involves a needle, thread, fabric, and a whole lot of creativity. That’s right: we’re here to talk about embroidery! 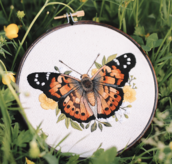 Embroidery is a personal favorite craft of mine because of the amazing representative capability of the art: you can make a design or pattern with embroidery like you can in kumihimo, knitting, or crocheting, but you can also create a hyper-realistic animal portrait or depict an entire, detailed scene. Embroidery, or “the art or process of forming decorative designs with hand or machine needlework,” employs dozens of different techniques, has an extensive history, and can be used for any number of things. Let’s dive in! Embroidery is global, and has history all over the world. Ancient Egyptian tomb paintings depict embroidery on clothes, hangings, and tents, and some Ancient Chinese silk robes were decorated with embroidery. In Northern Europe, embroidery mostly focused on Christian themes until the Renaissance, when embroidery became more of an amateur craft rather than a profession and crafters could experiment more with their designs. Certain indigenous tribes in North America practiced quillwork, in which they would embroider skins and bark with porcupine quills, and other North American embroidery practices mimicked European styles, yet tended to be simpler. 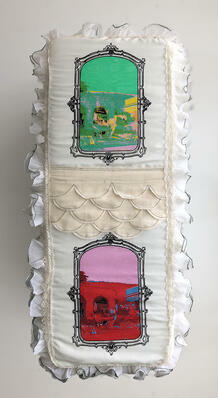 During the Industrial Revolution, France was the first country to mass produce embroidery through the use of machines. There are many different ways to embroider, and many different stitches you can use. Embroidery can be done in the crewel style, which uses two wool threads and dates back to medieval periods; you can do needle painting, which is typically used to create realistic images; you can try stumpwork, which creates more dimensional designs; and finally, surface or freestyle embroidery, which encompasses anything else! This style of embroidery is most popular today because it allows crafters the most freedom to explore what they want to design. There are many kinds of stitches to use when you embroider, but some of the more simpler and more popular ones to teach your kids are the running stitch, the back stitch, and the split stitch. The running stitch is used for outlining and creating straight and curved lines, and there is space in between each stitch. The back stitch is also used for outlining and creating straight and curved lines, and the stitches should be touching. The split stitch, which you use for outlines, lines, and filling a shape, is created by splitting the last stitch to create the next. If you or your child wants to achieve a specific look, it may be beneficial to research what kind of stitch would work best for your project! 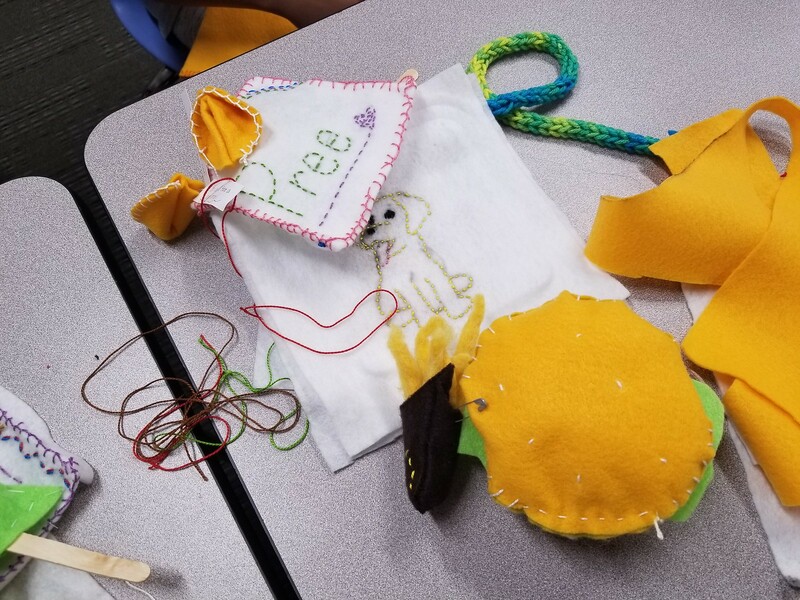 Although the type of stitch and style of embroidery are necessary to determine before starting a project, it is also important to know how to teach your kids to embroider! In general, it is good to keep your thread from twisting around while you work, keep your hands clean, and create uniform stitches by marking your fabric, but helping kids out with handwork can be particularly challenging, especially if you aren’t familiar with the craft yourself. When you and your kids start, they should work on fabric scraps and use big stitches to help them get the hang of the movements and processes. Make sure you choose bigger threads, thicker needles, and a medium weight fabric that is easier for kids to hold and use and show them some examples of what they can achieve to get them inspired. Maybe even invite over a friend and make the lesson a fun social event! After making sure your kids understand the dangers of scissors, needles, and other tools you may be using, make sure the lesson is fun and memorable, and choose a time that your child wants to learn so they can get the most out of it. 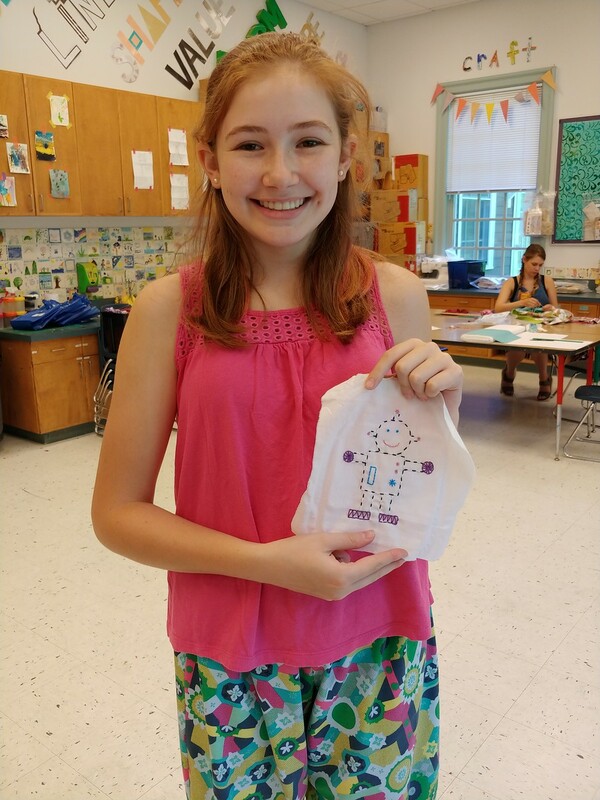 If you can’t teach your child to embroider yourself this summer, The Handwork Studio has amazing camps and tutorials where they can learn these awesome skills from incredible teachers, surrounded by kids their age! And remember, if you and your child create an embroidery project that they want us to see, post it on Instagram with the hashtag #SewMoreLove! Happy embroidering!